Governor Adegboyega Oyetola of Osun State on Tuesday closed his defence before the Osun governorship election petition tribunal, sitting at FCT High Court, Apo, Abuja. The counsel for the governor, John Baiyeshea (SAN), told the three-man tribunal that the second respondent was closing his case. Baiyeshea said that having reviewed the case, the second respondent found it unnecessary to call further witnesses to prove his case. “We do not need any more witness to prove our case,’’ he said. The News Agency of Nigeria reports that the governor only called 11 witnesses, including Mr Adelodun Rasaki, the state collation agent for the All Progressives Congress in the election. However, the counsel to the All Progressives Congress, Mr Yomi Alihu, has told the tribunal that he would open his case on Wednesday. The tribunal adjourned its sitting till Wednesday, February 6 for APC to open its defence. 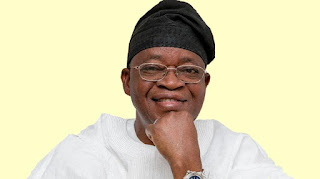 NAN also reports that Adeleke and the Peoples Democratic Party are challenging the declaration of Oyetola as the winner of the September 22 and 27, 2018 election. They alleged that the election was marred by massive rigging, over voting, vote buying and other forms of electoral malpractice and that it was not conducted in compliance with the law. The PDP joined INEC, Oyetola and APC in the petition as respondents.